Thank you it was usefull! Keep a good work. Just came across this, and I see it’s a couple years old now — but thanks, was a big help! It didn’t like that there’s no end= section on that line. But I can’t figure out what you are aiming for there?? 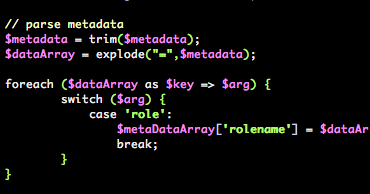 It looks like you’re using yellow for comments — and you seem to have that well-covered in the following lines. So I just removed it. Thanks. I just make use of it.